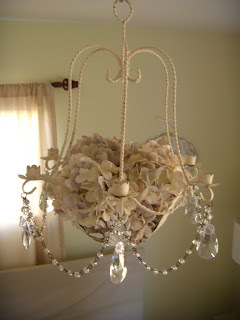 Not only was I delighted to win the Giveaway over at Faded Charm but White Wednesday has become my midweek joy. Stop on over Kathleen is such a doll. the candelier above the bed in the "retreat suite"
my son Christopher & his american bull dog "Lola"
I'm loving that coat and the puppy is so cute. I mailed out your package yesterday afternoon. You should receive it within a couple days. Hope you are enjoying your Wednesday. Lola is so sweet. my Amer Bulldog is a monster! He is 6 1/2, 100 pounds and slobbers. Kate, your whites are lovely and Lola is so cuuute! The coat is beautiful. What awesome white's. I don't know which one I like the best. I guess all of them. Lola is beautiful. 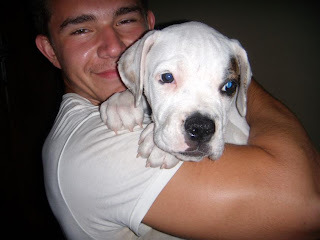 American bulldogs are the sweetest dogs, my grandson had one that took a step everytime he did. They are so smart. 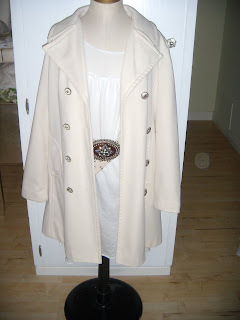 I love you vintage white coat and chandelier. ejoyed your blog very much. Your blog is awesome, your talented and beautiful. Thanks for your kind comments. Adopted kids are very special and I am blessed to be part of God's bigger plan for Lauren's life. Keep in touch. Hi Kate! 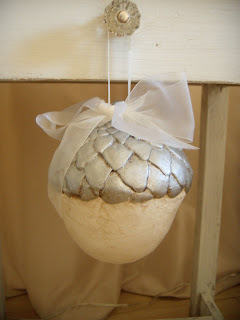 I really like that acorn decoration! What a sweet little find! I have a vintage coat that I wear for special occasions in the wintertime. I love it, and I always feel elegant when I wear it for some reason....I guess it takes me to a different place and time maybe?!? Your coat is really pretty!